Huawai is the worlds lagrest Smartphone mobile company released new smartphone with Triple rear camera phone is Huawai Mate 20 Pro was released in october 2018. 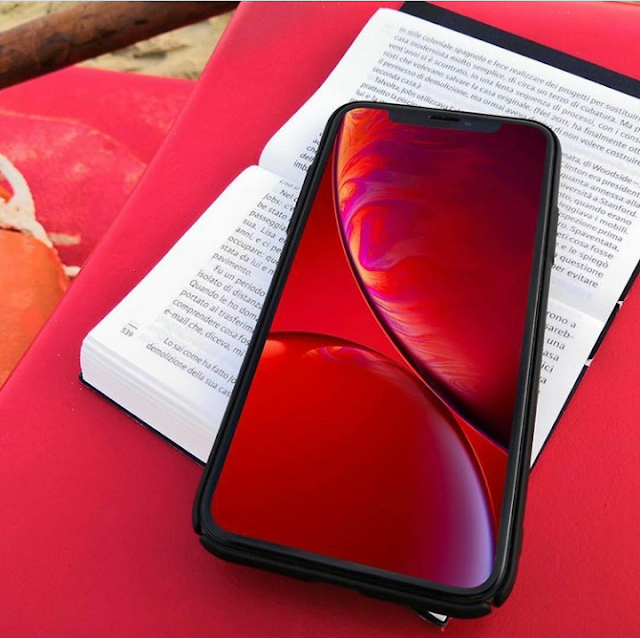 Huawai Mate 20 Pro has very attractive AMOLED capacitive touchscreen display with 16 millions of colors, this mobile is available in screen size of 6.39 inches with 87.9% of screen to body ratio. as copmared to screen size pixel density is very high 538ppi with 1440*3120 resolution.with also available in corning gorilla glass with multitouch display. 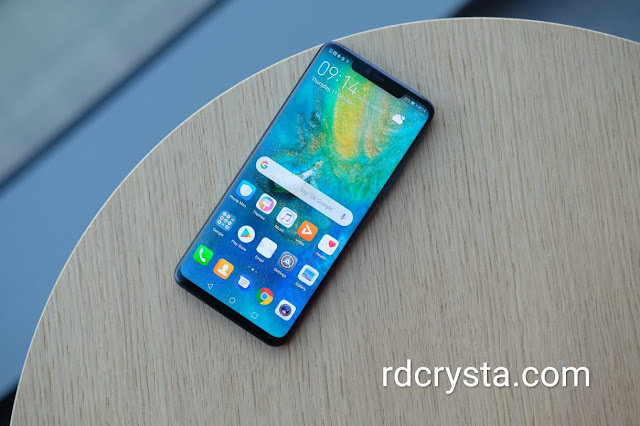 Newly updated androind version are available in Huawai Mate 20 is "Pie" ,HiSilicon Kirin 980 powerful processor are used with 2*2.6 GHz cortex-A76 and 2*1.92GHz cortex A-55 chipset are used. Mali-G76 MP10 Graphics processor are also used. mobile available in Two type of sim card system one is single sim and other is Dual sim but hybrid sim card system.mobile available in two different memory size 256 GB internal memory with 8GB RAM and 128 GB internal memory with 6RAM. 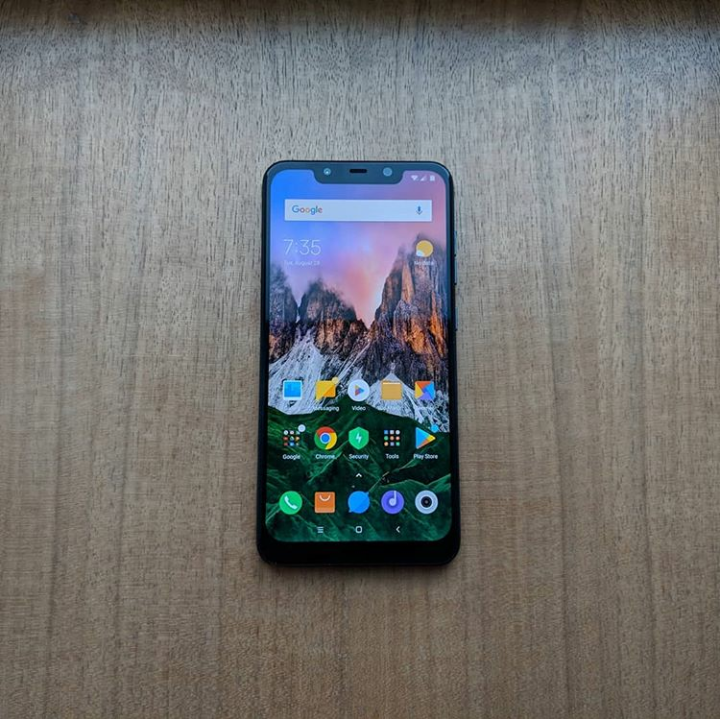 Main function of this phone is Triple rear Camera,this is the huawai first Triple camera phone (40MP+20MP+8MP) with five optical zoom.Leica optics are used in this cameras with Dual LED Dual tone flash,Panorama and HDR features are available. Front camera of this phone is hugh 24 MP single camera with f/2.0 aperature. Many type of sensors are used in Huawai Mate 20 Pro like Face id detection ,finger print sensor with under display,accelerometer sensor,gyro,barometer,proximity and compass sensors are used. Non-removable,high backup Li-po 4200 mAh battery are used in this mobile with mobile available in five types of colours like Midnight blue,Twilight,Gold,pink,Emerald Green and Black. 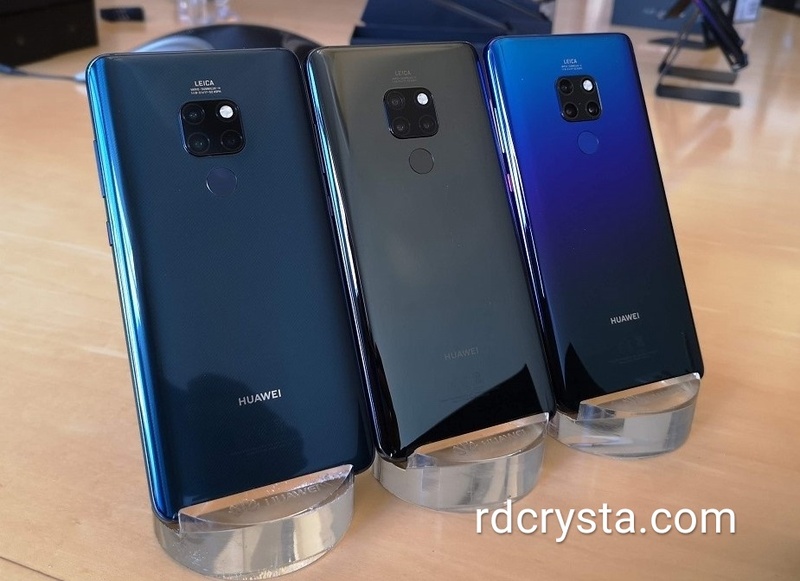 Huawai Mate 20 Pro's price goes to approxmatery 1000 EUR. 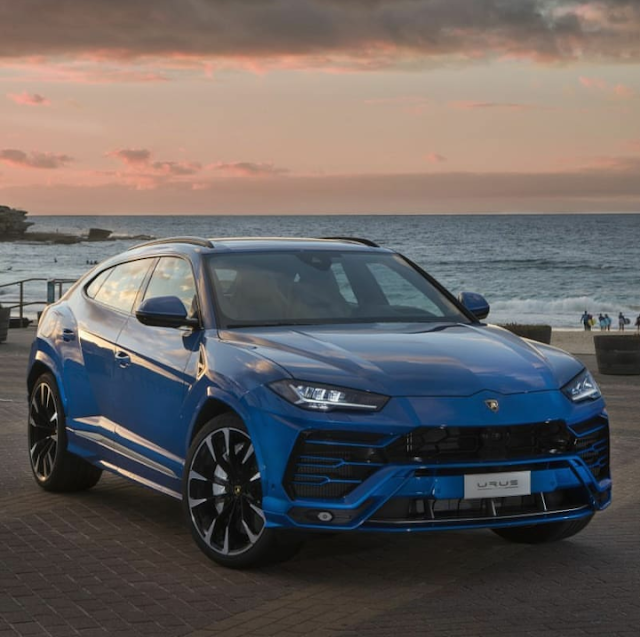 Super Luxurious Car production company "Lamborghini" launches new super luxurious SUV car 'URUS'.this is the worlds fastest SUV car.URUS is the worlds first Super Sports SUV car,Design of this vehicle is outstanding and excellent.lets see the all specifications of first SportsSUV car "Lamborghini URUS". 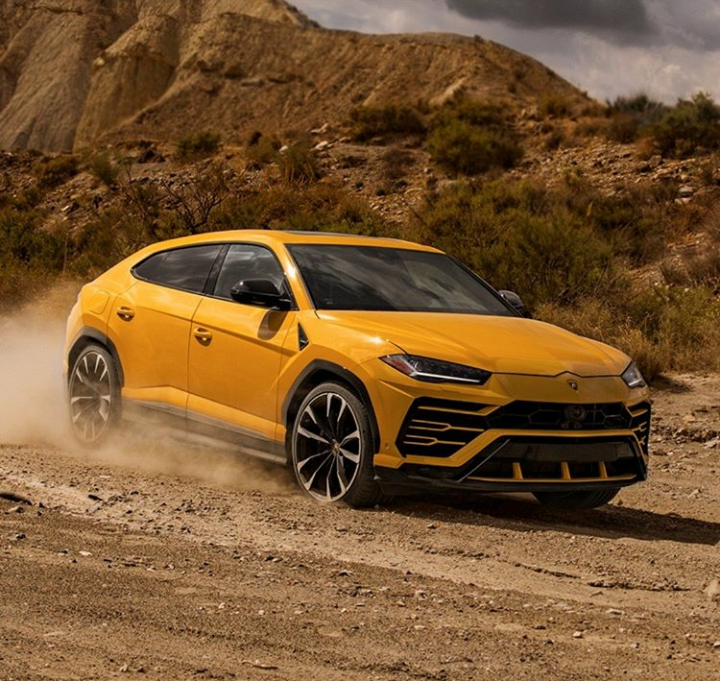 Overall "Lamborghini URUS "is very beautiful SUV car with exterior and interior design . First see the Engine And Transmission information : In "Lamborghini URUS " uses the V8 bi-turbo engine with maximum power output is 478 kW/650 HP, URUS performance level is unbelievable. 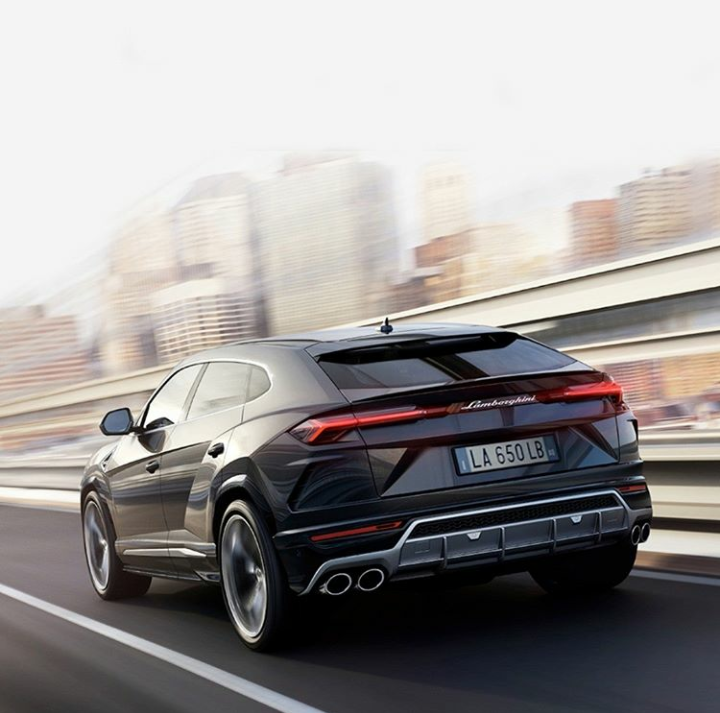 8 cylinders are used,Displacement is a 243.85 cu in , Maximum power of URUS is 650 HP (478kW),Maximum torque 850nm,Mximum engine speed is 6800 rpm. Transmission of this car is four wheel drive with asymetric/dynamic torque. SPEED : URUS is Specially designed for Speed ,Speed of this car is 305km/h,this is one of the fastest speed of SUV car, in only 3.6 seconds this car collect the speed upto 100km/H, Economy of URUS is 8km/H. Brake System : In "Lamborghini URUS" different brakes are used used for front side and rear side , front brakes are carbon-ceramic brakes with 440mm diameter and thickness is 40mm and rear side brakes are also Carbon-ceramic brakes with 370mm diameter and thickness is 30mm. Dimensions : weight of "Lamborghini URUS" is approx. 2200 kg, Length is 5112 mm(201.16 inch), width is 2016 mm(79.37 inch) (including mirror width is 2181 mm,85.87 inch), Height is 1638 mm(64.5 inch) ,wheelbase is 3003 mm (118.23 inch), Fuel tank capacity is 75/85 ltr (19.81/22.45 gallons). Safety and Features : Airbags,side airbags,passenger airbags are available in this SUV, ABS system available ,electronic stability program also added in URUS,power door lock,child safety lock available,rain sensing wipers,headlight washers and headlamp beam adjuster also available. 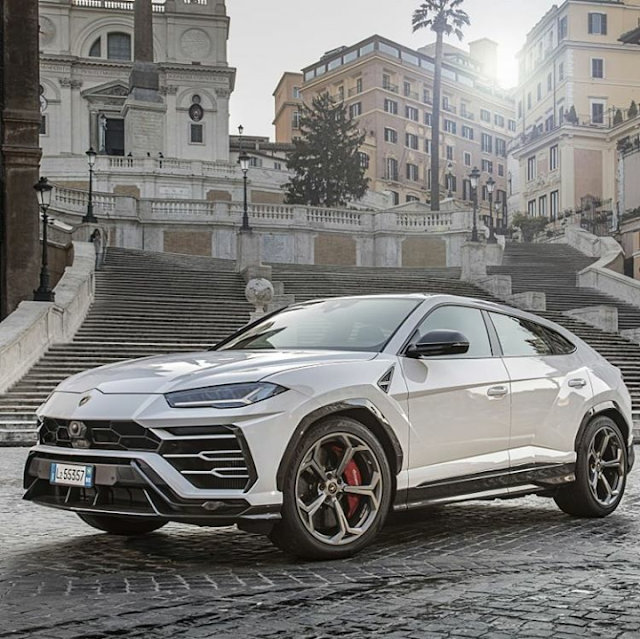 PRICE : Lamborghini URUS available in price of upto 3.5 crore with available in four colors first is Bianco Monocerus,second is Blu Achelious third is Giallo Evros and last one is Blu Fontus. 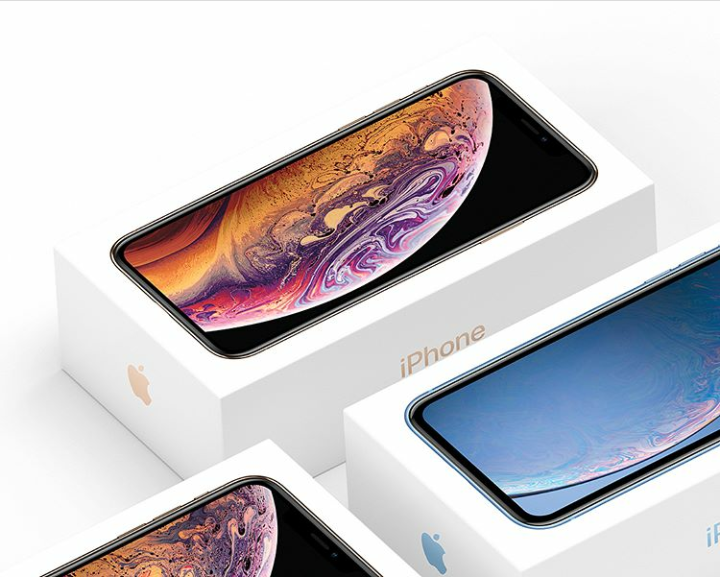 Apple announced two day ago three New X series IPHONE XR , XS and XS MAX,Apple also announced this is the worlds smartest and fastest phone . 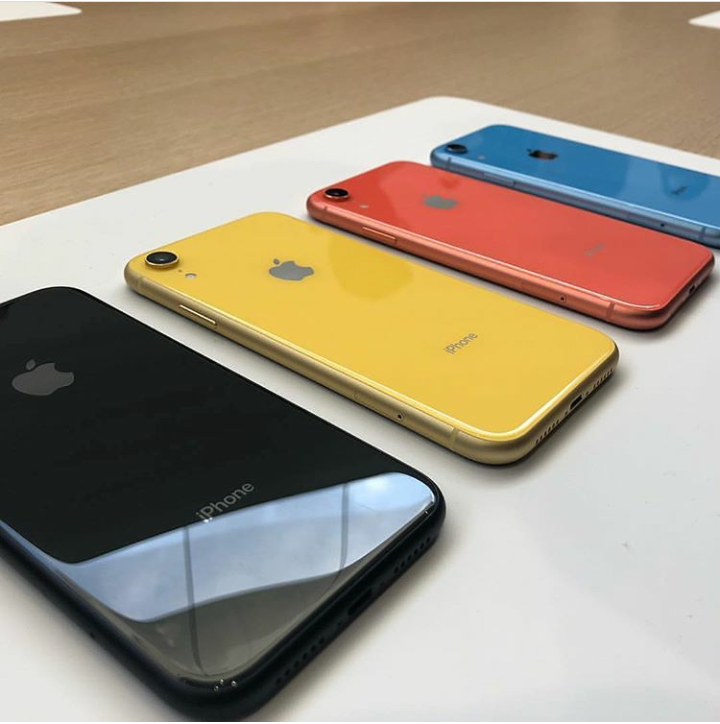 In which uses the most advanced display with new liquid retina display ,IPHONE also gives the the big screen display is 6.1 inches 79% of screen to body ratio with 326 pixel density.scratch resistant glass are used at both sides. IPHONE XR is nano sim with new sim type introduce is e-sim, XR is a water resistant (upto 30 minutes with distance of 1mtr. )with dust proof IP67 . 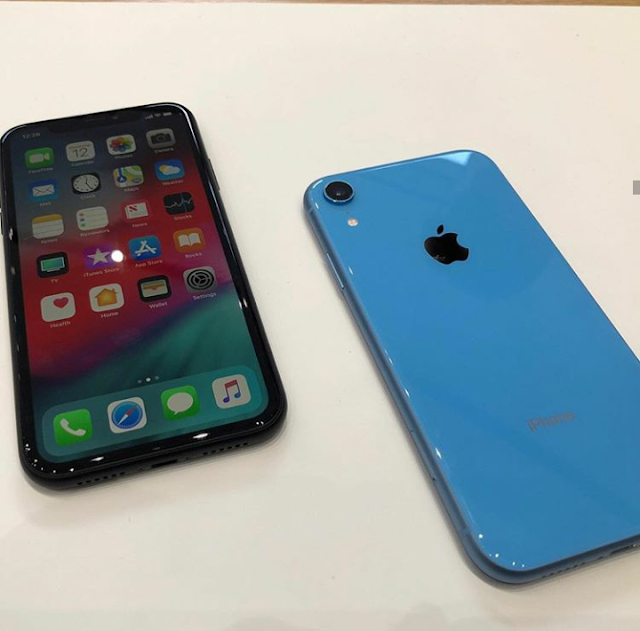 iOS 12 IPHONE operating system udes in XR also AppleA12 Bionic chipset uses ,Hexocore processor used with 4-core apple graphic are used. 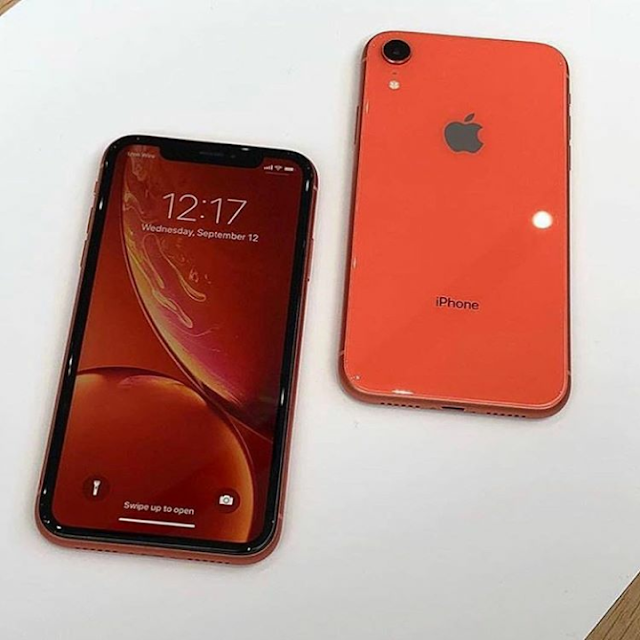 IPHONE XR available in three different internal memory varients with 3 GB RAM respectively 64 GB,128 GB and 256 GB. 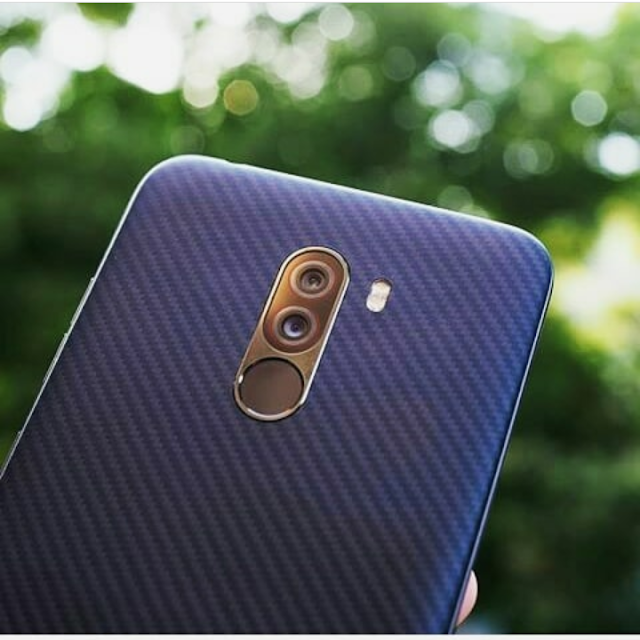 Single rear camera with 12MP Quad LED dual tone flash with HDR and Panorama features are addded,front camera is as a apple standard 7MP With HDR feature. 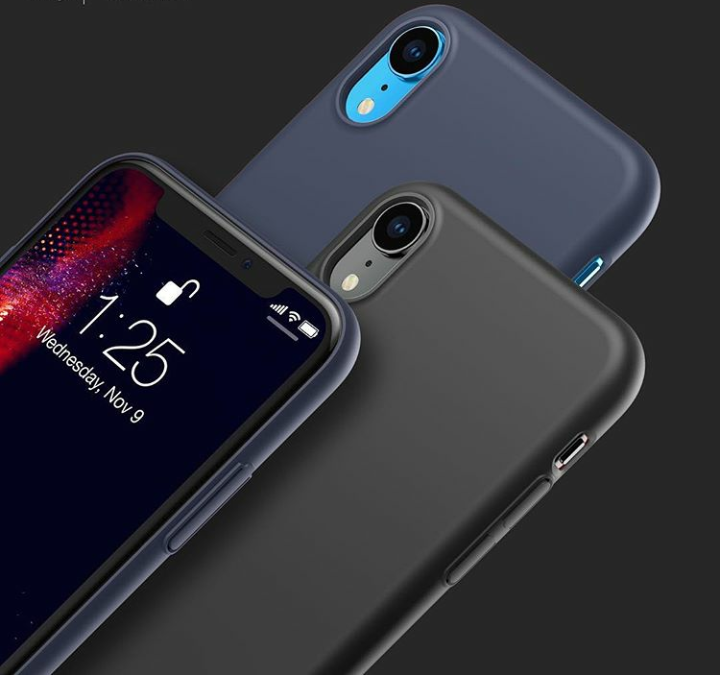 Face ID detection is the main Feature of IPHONE XR in which mobile does not give the finger print sensor,for unlock only uses Face ID detection,accelerometer,barometer,gyro,proximity and compass sensors are used in iphone XR. Mobile available in four different colours like YELLOW,BLACK,RED and BLUE. IPHONE XR price is Rs. 76000 to 92000 ($ 749 to $ 91900). Vivo build very attractive designs of mobiles ,Vivo specially known for mobile design and display. Vivo luanched new high range smartphone V11 . 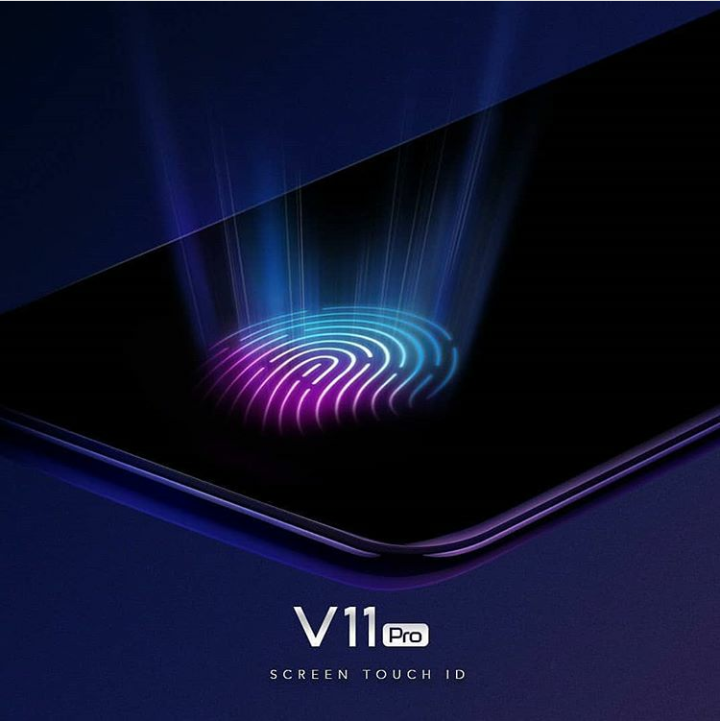 Screen Display : Display of V11 is Super AMOLED capacitive touchscreen display with 16 M colors, 6.41 inches huge screen display with screen to body ratio is 85.2 % ,this is the very big screen to body ratio,1080*2340 per pixels available. 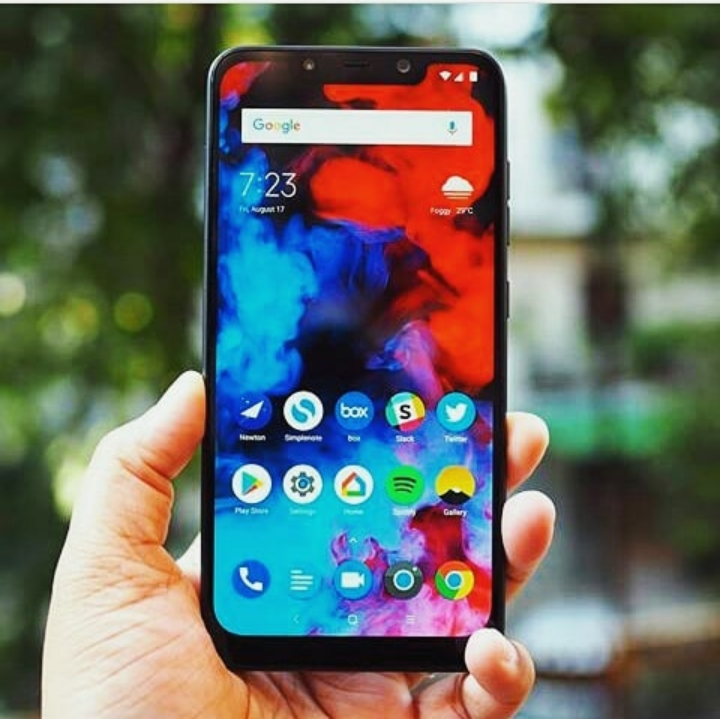 Operating system and Processor : Android based 8.1 oreo operating system used in this mobile, Qualcomm snapdragon 660 processor are used with octa cpre processor also uses high graphics unit Adreno 512. 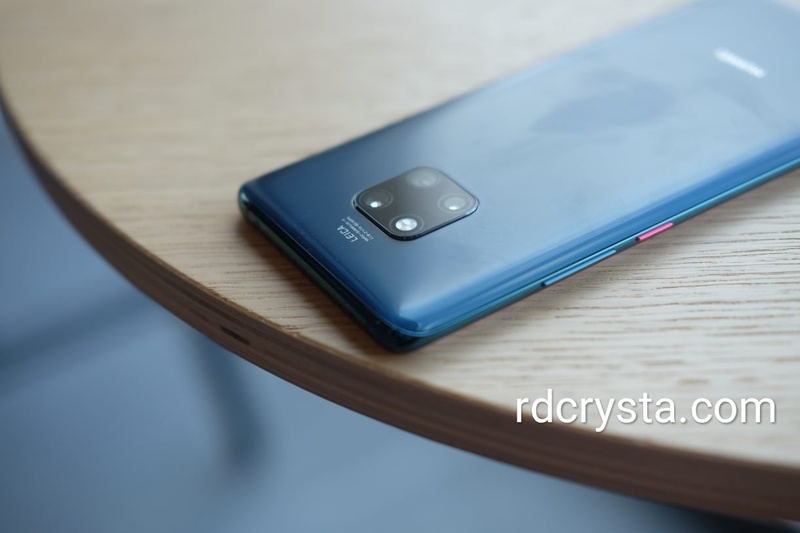 Camera : Dual rear camera used in Vivo V11-12MP + 5MP (HDR ,LED flash and Panorama inbuilt features) with depth sensor uses and front camera is huge 25 MP with HDR . Sim and Network : Dual sim with nano sim supported sim card system with 4G supported LTE band network.also give the dedicated slot for memory card. Colours and Battery : mobile available in three type of colours one is Starry night other is Dazzling gold and last is Nebula , battery are used in this mobile is non-removable Li-Po 3400 mAh long life battery. POCO F1 available in three different varient 256 GB internal memory with 8 GB Ram,128 GB internal memory with 6 GB Ram and last is 64 GB internal memory with 6 GB Ram . IPS LCD capacitive touchscreen mobile display, size of mobile is 6.18 inches very big screen,attractive screen to body ratio is 82.2 %,with resolution is 1080*2246 with 403 pixel per density. LTE band supported 4G network mobile with hybrid dual sim only nano sim supported,dedicated slot is not available for Memory card.This phone now available in india on E-commerce site Amazon. Oreo 8.1 android based operating system with Qualcomm SDM845 snapdragon processor are used in POCO F1.Central processor unit are used in this phone is octa core with 4*2.8 Ghz ,Snapdragon 845 processsor is very good processor this is the most powerful processor,also uses GPU is adreno 630. 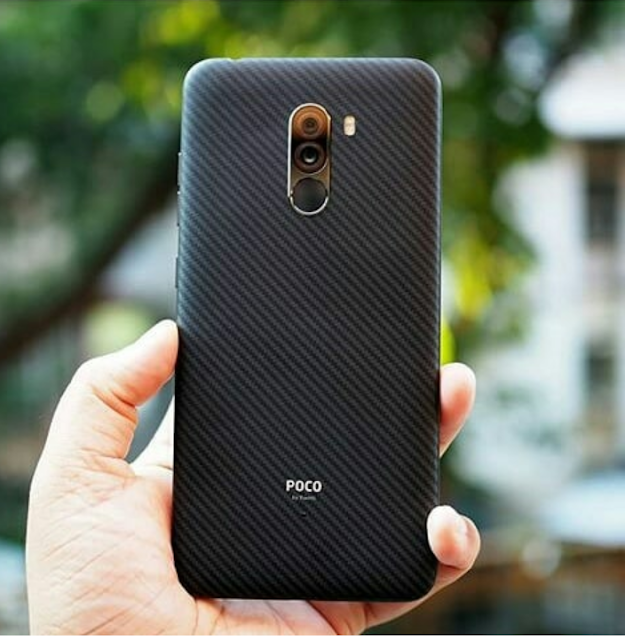 High quality Dual rear camera available in POCO F1 (12MP +5MP) with dual LED flash ,HDR and Panorama features are available. 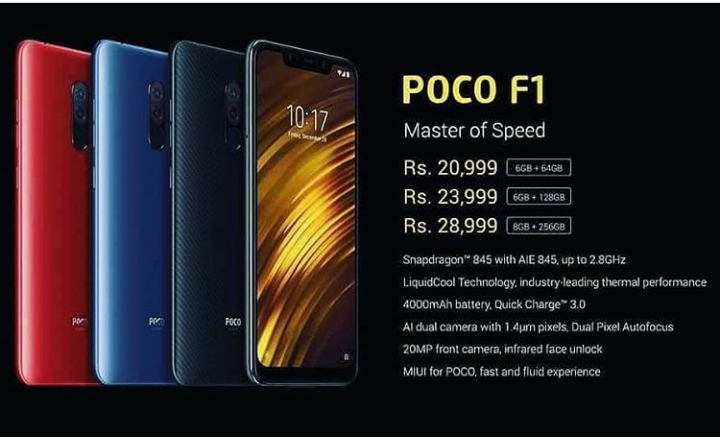 Front camera is 20MP ,HDR Featurenalso available at front side .Number of sensors are used in POCO F1 like accelerometer,gyro,proximity,compass ,fingerprint sensors with rear mounted,one is new sensor added in POCO F1 is infrared face recognition. 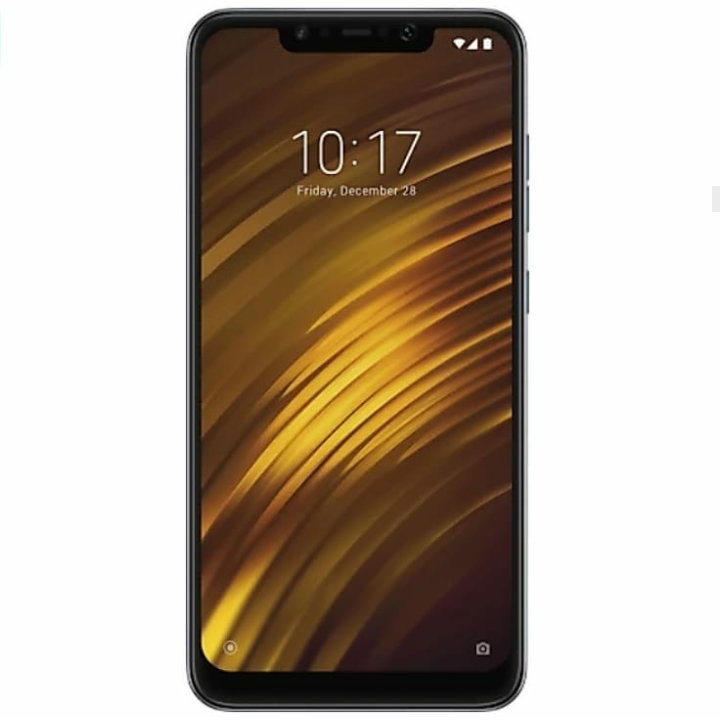 High Powerful long-life Non-removable Li-PO 4000- mAh battery are used in POCO F1 with mobile weight is approx. 180gm, mobile body material is in Plastic. Mobile available in four different colours like Graphite black ,Steel blue,Rosso Red and Armored edition.Mobile price starts from 20999 Rs.